By Leebroox, January 10 in Show Off!! 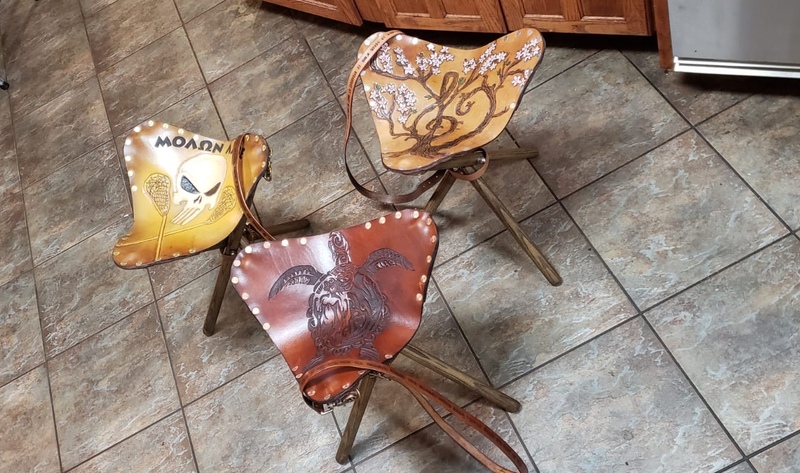 Some camping stools I did for my nieces and nephew Christmas gifts. Modeled after Christopher Schwartz’ campaign stool. I'm loving the turtle and tree. This has been on my list to make for some time! I like them. Is that a clef in the tree? Yes, It was a gift for my niece, She plays cello. The Stool is the perfect height to practice with. Thanks for checking them out. Thanks. I have been stressing on my dyeing techniques and getting the results I want. These came out the closest to what I had envisioned. Learned a lot. Thanks for checking them out. I don't know where you get your Tri-bolts for these stools, but they are easy to make with minimum tools. I can show you how if interested. I know they are very expensive to purchase. 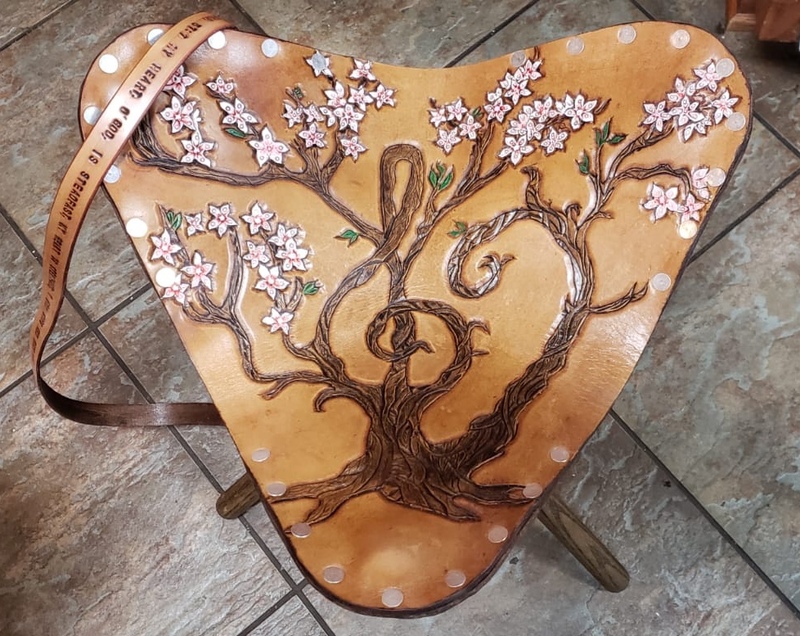 Leatherwork Specialty:Done things from a more artistic sense like 3d sculptures to tooling pictures as well as practical like purses, bags and even journals. I have a hard time picking one thing. 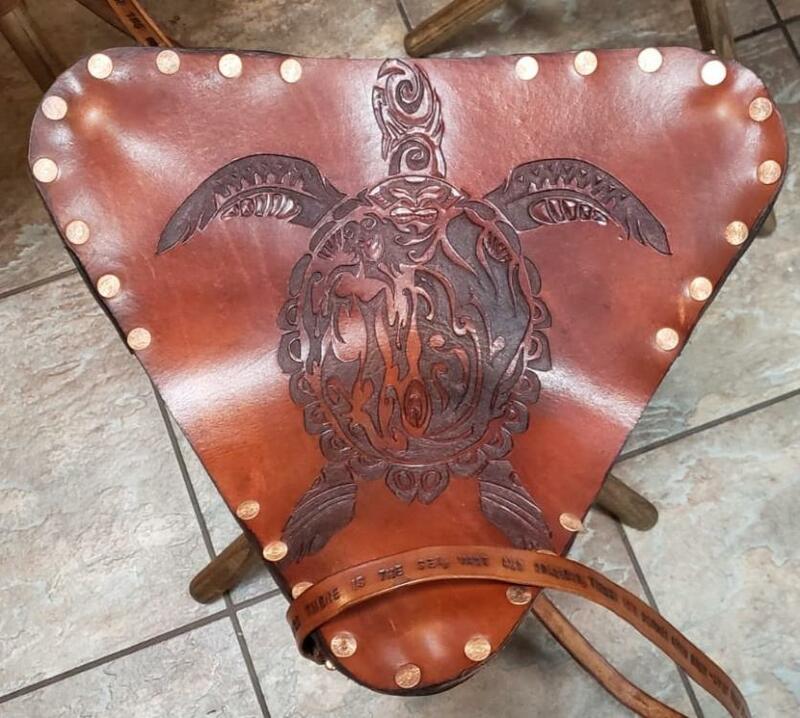 Interested in learning about:New creative ways to work with leather. How did you find leatherworker.net? :Came across it on the internet. Those came out really nice. My favorites are the turtle and tree. I've thought of making one of those. I made a butterfly chair once. 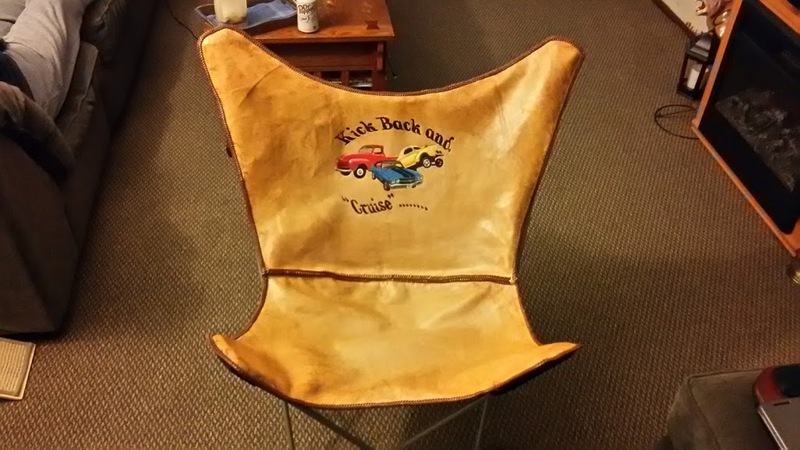 It's my "crusin" chair. That's awesome. I never considered making my own. Now its on my list. Thanks. Thanks. 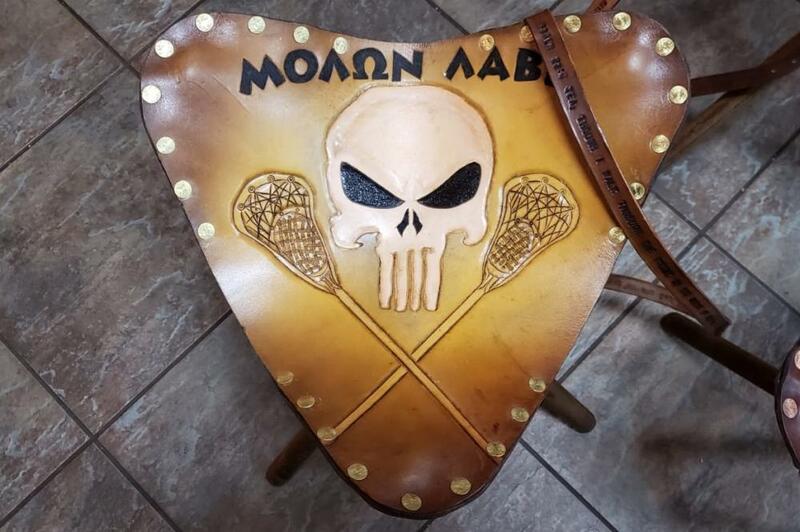 I considered making this chair when I did my Campaign Chair. Settled on the campaign chair because of its history. Nice job on yours. Go To Topic Listing Show Off! !